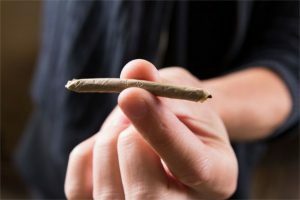 Marijuana addiction treatment involves behavioral therapy techniques that help a user change drug-seeking habits and build coping skills to help them lead a drug-free life. Treatment for pot abuse is mainly necessary for users who have developed a dependence on the substance, which impairs such individual’s quality of life. What Are The Signs One Needs Cannabis Addiction Help? What Does Pot Rehabilitation Program Look Like? What Are The Types Of Weed Therapy? Is It Necessary To Treat Marijuana Addiction? Weed is one of the most common substances adults use. Although cannabis is believed to be a relatively safe drug, it can still lead to substance abuse in certain cases, which is characterized by addiction and dependence. At this point, marijuana abuse treatment becomes necessary. Therapy for cannabis addiction becomes necessary when the individual cannot stop using the substance despite its apparent negative effects. Adults who seek marijuana addiction treatments usually average more than ten years of daily marijuana use with several attempts at quitting. Pot dependence causes severe physical and psychological changes that occur as a result of the user’s brain been adapted to large and frequent amounts of the substance. The brain, in turn, reduces its production of and sensitivity to its own cannabinoids, so the user becomes “addicted” to an external one in the drug. The weed abuse therapy restores the normal brain functioning. People who use weed before the age of 18 are up to 7 times more likely to develop pot addiction and, thus the therapy for weed abuse is even more necessary for adolescents. People who have been diagnosed with pot addiction need to visit substance abuse rehabs for marijuana therapy to get the substance off the system, regain control of one’s life, and prevent complications such as impaired mental development, fetal demise in a pregnant woman, and deaths resulting from indirect causes. Moreover, taking too much of the substance is likely to result in the od on weed placing the person at risk of poisoning and injuries. This is another reason to seek marijuana addiction help. There are certain telltale signs that show that one needs treatment for weed abuse. These are features which imply that one’s brain has adapted to the substance and requires cannabis detox. The need to consume larger amounts of the substance to experience the same desired effects as previous small amounts produced. Devoting a lot of time and resources into obtaining or using the drug. Developing adverse physical changes – called withdrawal symptoms – including restlessness, insomnia, shakiness, anxiety, and sweating when one stops using the substance for a short time. Continuous use of the drug despite serious impairment in work, academics, and social activities because of the abuse. Using the drug in dangerous situations, such as driving. Doing things that one will normally do just to obtain the drug, such as stealing. These are the general signs and symptoms that indicate the need for cannabis addiction therapy; however, there may be more specific signs that depend on the method of administration. For example, specific symptoms of vaping weed include nose bleeds and dry mouth. What Do Marijuana Addiction Treatment Programs Look Like? Weed rehabilitation is similar in a lot of ways to the treatment for other drug addictions. Treatment mostly involves sessions of behavioral therapy held in a comfortable, non-confrontational environment to enable them to detoxify safely. The facility may also administer medicines to reduce withdrawal symptoms that occur during detox. Following detox, the addiction therapist provides follow up care and rehabilitation services to prevent pot relapse. These programs are scheduled in marijuana anonymous meetings and rehab centers. The main types of marijuana addiction treatment include cognitive behavioral therapy (CBT), contingency management (CM), and motivational enhancement therapy (MET). These treatment options may be used singly or in combinations. The approach that integrates all three types produces the best outcomes. MET addresses a user’s ambivalence about quitting. The aim of this technique is to strengthen the individual’s motivation to change. A typical session of MET comprises one to four 45 to 90-minute individual therapy sessions. The weed addiction therapist typically uses a non-confrontational approach to help the user decide to change. Some MET techniques include reflecting, strategic expression of empathy, affirming, creating goals and plans to execute them, reinforcing self-efficacy, and rolling with resistance. CBT focuses on helping the patient gain requisite skills to quit the substance and to avoid factors that can interfere with a successful cannabis detox. The user learns ways of avoiding or coping with pot cravings and drug use triggers and builds skills for drug refusal and problem-solving. CBT is typically delivered in weekly marijuana clinics in 45-60 minute individual or group therapy sessions. A user can have as many as 16 sessions to learn the relevant coping skills fully. Contingency management is focused on frequent monitoring of the drug use behavior using positive reinforcements to increase motivation for reduced drug intake. It adopts an abstinence-based voucher system in which vouchers are contingent on abstinence. In this case, weed addiction test is done twice weekly, with the value of the voucher increasing with each subsequent negative testing. The patients then exchange these vouchers for prosocial retail items which are intended to serve as alternatives to smoking marijuana. Aftercare remains the key to fully abstaining from this substance. It involves a series of interventions offered after the initial phase of treatment, with the aim of helping the individual achieve a drug-free life and prevent a relapse. A huge factor of aftercare is emotional support: Patients need a lot of support from friends and family to help them achieve this goal and stay drug-free again, the absence of this increases the risk of pot relapse. If you or your loved one is addicted to marijuana and need counseling or advice on treatment, please call our 24/7 helpline on (888)-459-5511 to speak to a representative.